Offering all the same great features as the Hercules trolley model, this built in BBQ compromises on one thing only – portability. 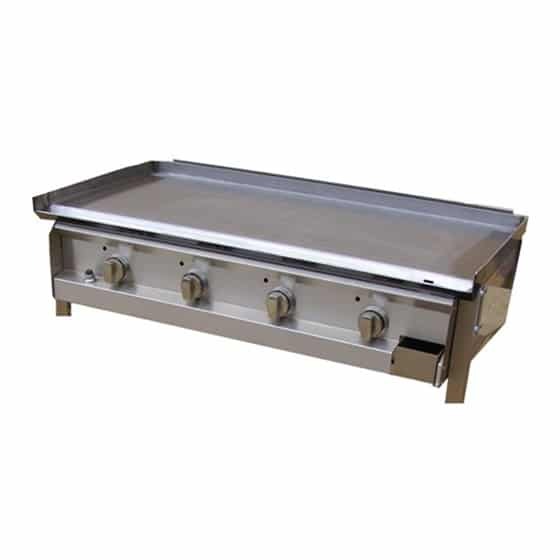 With the Hercules Built In Hotplate BBQ you’ll experience the same raw power and same solid quality. Featuring four strong cast iron burners this built in bbq provides a high level of heat control and excellent heat conduction and heat efficiency. It can’t be beaten on simple convenience either with electric ignition for easy lighting and a huge 6mm thick solid steel hot plate. It really is a BBQ for all occasions. 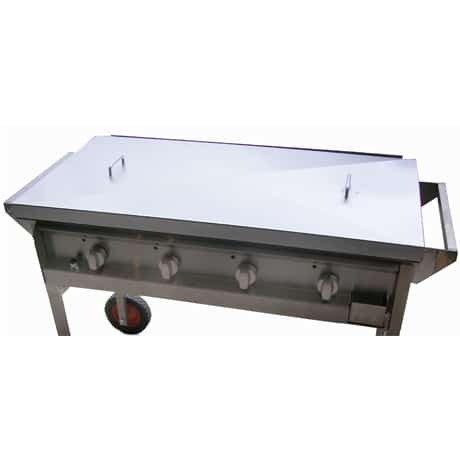 Choose between LPG Gas Operated BBQ or Natural Gas Operated BBQ and various options such as a windshield or spatter guard and lid. We can even powder coat the lid to match your existing outdoor furniture or fixtures and fittings! There is so much more to the Hercules Built In Hotplate BBQ – why not take a closer look and contact us today for a free quote. 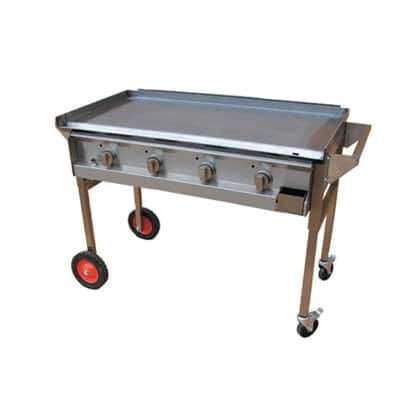 Our great range of Hercules Hotplate BBQs are proudly 100% Australian made and built tough for Australian conditions. They are designed with durability, ease of use and minimal maintenance in mind. 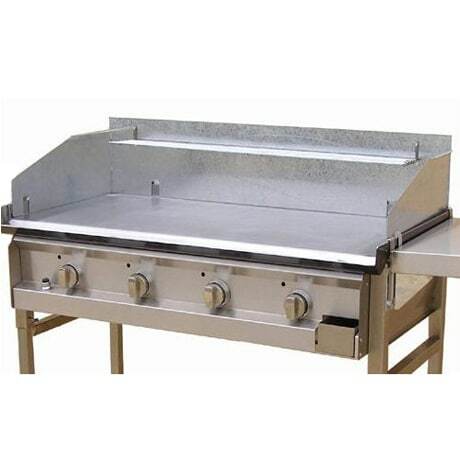 With over 35 years of experience building barbeques for the great Australian sausage sizzle, the Hercules hotplate barbecues have been tested in service for many years. Hercules products are backed by a 2 year warranty* and come with full parts back up. If you would like more information about the Hercules product warranty please contact us and request a copy of the full warranty terms and conditions.